Description: Nine books from the Yankee flier series published in 1944 as air combat stories for boys. Included are vol. 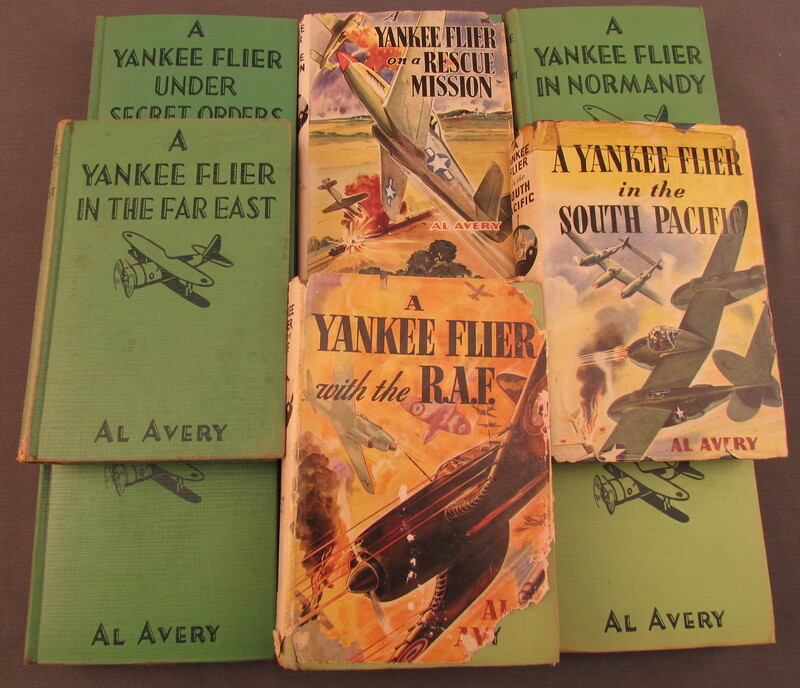 8-16 with titles such as RAF, In the Far East, In the South Pacific, In North Africa and Under Secret Orders. 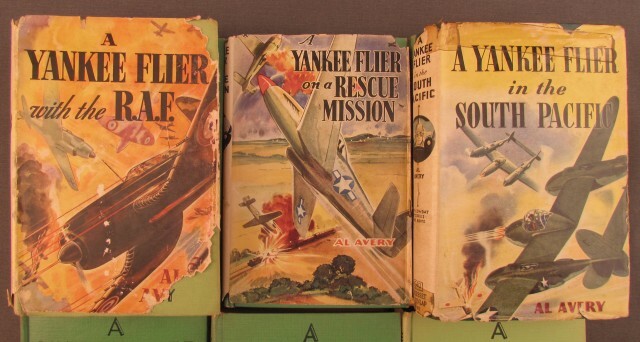 3 of the books have the jackets that show tears and wear. The books are in very good condition.